Local arts professionals guide an open conversation with audiences in the Commons to consider the ways that museums benefit from true collaboration with young people. 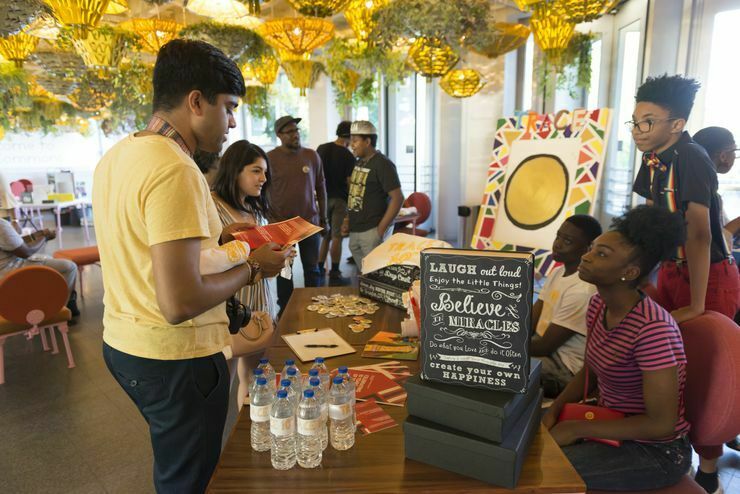 Image: Youth from the Chicago Park District’s program TRACE (Teens Reimagining Art, Community, and Environment) hosting an event in the MCA Commons, Aug 2018. Photo: Nathan Keay, © MCA Chicago.